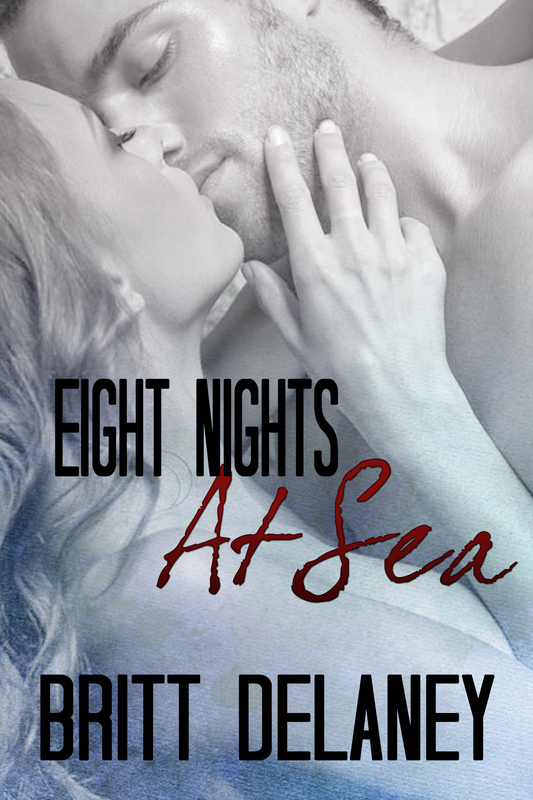 Eight Night At Sea Is A Kindle Countdown Deal Through Tomorrow! Only two more days to grab Eight Nights At Sea at a discount! Jump aboard ship with Zephyr and Rina (and her mysterious brother, Aven) and sail the seas of a magical realm, where mythical creatures exert powerful forces, and evil men seek to destroy them at any cost. Here’s a peek at the opening of the book – just to whet your appetite! The tumult at the dock was drawing a crowd of terribly amused onlookers. The shouting was growing quite loud, and a catfight had broken out between two women – one of whom was now missing a patch of hair. Several other women added their voices and another scuffle broke out as they elbowed and shoved, tearing at clothes and raking nails across faces and shoulders. Zeph found himself pushed and pummeled in the middle of the fray. “Stop!” he called out, raising his arms. The women quieted, jostling and poking in a more subdued fashion. Zeph looked down at the redheaded wench closest to him. Scarlet straightened immediately, pushing her ample bosom forward to rub enticingly against Zeph’s arm. “Word has been going around the dock that Zephyr Jamieson is looking for a companion this journey, and here I am. Send the rest away, lovey.” She grinned widely, then remembered her missing teeth and closed her lips into a tight smile. “You won’t have to pay me, Captain!” shouted another woman nearby. “Or me!” Another chimed in, and several more began to bicker for his attention as well. Zeph had reached his limit. “Ladies! Go home! Someone is apparently having a joke at my expense. I sent no such word and I have no such plans. Go home.” Zeph made a disgusted sound as the women howled in protest. He leaned down to address his bos’n. “Have you any idea who caused this uproar?” Zeph rubbed the back of his neck as he climbed the stairs back up to the deck. Zeph let out a chuckle. “Oh yes, I remember now.” He rubbed his chin thoughtfully. “I suppose I had that coming. I was a bit drunk.” Zeph’s eyes scanned the deck and the dock beyond it. Mr. Barton called out orders to the hands as Zeph stood, shaking his head and chuckling to himself. He really had been a mess the previous night. He was lucky the man only pranked him instead of really trying to hurt him. He’d been furious, and rightly so. It was a great shot and that dart was buried an inch deep in the bugger’s fat arse. Zeph made it halfway up the stairs to the wheel deck when a shout came from below. He quickly swung himself down onto the deck, throwing open the hatch to the hold, then stepped of the way as the two boys he’d run into on the dock were shoved up the ladder. They came to a halt in front of him, their eyes downcast. “And what have we here?” he asked a crewman. Zeph studied the boys in silence, his eyes hard. “Do you know who I am? And more importantly, do you know what I do with stowaways?” His voice was quiet, but all the more deadly for it. One boy’s head snapped up, and his eyes widened in fear. The other remained staring obstinately at the ground, his hood still blocking his face. “Look at me when I’m talking to you,” Zeph commanded. The other boy continued to stare at the deck, shaking his head stubbornly. This kind of disrespect couldn’t be allowed. Zeph reached out, intending on ripping the hood off and forcing the boy to meet his eyes, when the other boy reached out, knocking his hand aside. It only took a second for the boy to land in a sprawl after Zeph backhanded him in reflex. He was scrambling to get to his feet, but ceased his struggling when the end of Zeph’s cutlass lifted his chin. “Now then,” Zeph began again – but his words were cut short when he felt the press of a knife at his own throat. His rolled his eyes, but lowered the point of the cutlass. “Very poor planning, my boy,” he remarked. “You’re outnumbered. You’ve nowhere to go. And now you’re going to die.” He whirled quickly, his fingers catching the collar of the boy’s cloak and pulling him off balance as his sword hand crashed down, knocking the knife out of the boy’s hand. He completed the move by swinging the lad hard into the mast pole, and then got the shock of his life as he flattened himself against him. Zeph looked down into an amazing pair of crystal-blue eyes, and his mouth parted in pure surprise. It wasn’t often he was thrown this badly. Who the hell was she? He slowly moved his fingers from where they were entangled in her cloak, but kept himself against her. There was no mistaking a pair of breasts that soft and full; especially when they were moving with every rapid breath she took. She had flawless skin, and delicately arched brows in a shade of blonde so light they were nearly white. High cheekbones, a small nose and a softly trembling mouth finished the picture from the neck up. If the rest of her matched what was above, it was no wonder she went about masquerading as a boy. He finished his perusal, and returned his gaze again to her eyes, which were flashing now in anger. This amused him, considering the position he had her in and the fact that she barely reached his chin in height. She was in no position to do him any real damage, but he admired her for trying, damn him if he didn’t. He smiled, shifting a bit against her. The anger in her gaze was replaced by a moment of shock and then something fleeting sparked in her eyes before she quickly lowered them. Her lips parted, and she let out a long, slow breath. “What’s your name, love?” he asked quietly. Eight Nights At Sea is a Kindle Countdown Deal through March 24th!